Now more than ever, we need independent media to give voices to those left unheard by corporate outlets! That is why Eugene PeaceWorks is proud to sponsor KEPW Homegrown Community Radio! We have an FCC construction permit for a once-in-a-lifetime opportunity to provide diverse locally produced programming in the Eugene and Springfield area. Our engineers have successfully located a suitable tower and now we must raise a minimum of $10,000 to cover transmission equipment, installation and antenna tower leasing costs in order to move from streaming online to simultaneously broadcasting at 97.3 FM by February 2017. To acquire a broadcast license, we must meet this deadline, so it is vital that we raise funds as soon as possible. We are excited to tell you we have raised more than $4000 toward our goal with grants pending for more. KEPW.org is already streaming online with locally produced programming that shines the light on swept-under-the-rug issues and brings diverse voices to the air. We are also very proud to carry “Democracy Now” and to bring back David Barsamian’s popular “Alternative Radio,” which was dropped by KLCC after airing for 30 years! KEPW supports our vibrant arts community by showcasing local music talent and is rapidly increasing its news and entertainment programming with more and more producers going on the air from our studio at Growers Market. Your donation will help improve the quality of truth in media via our airwaves. Please support KEPW today! $1000 or more--You will receive a dinner for four at Café Soriah, a t-shirt, KEPW swag and stocking stuffers and you will also be thanked on air. $500 to $999.99--You will receive a dinner for two at Café Soriah, a t-shirt, KEPW swag and stocking stuffers and you will also be thanked on air. $250 to $499.99--You will receive a t-shirt, KEPW swag and stocking stuffers and you will also be thanked on air. $100 to $249.99--You will receive a t-shirt, KEPW swag and stocking stuffers and be thanked on air. $25 to $99.99--You will receive KEPW swag and stocking stuffers and be thanked on air. Thank you for your support from KEPW Homegrown Community Radio! We made it! Because of our fabulous community and all their support, KEPW started broadcasting today on 97.3FM. We have overcame numerous obstacles and challenges to get on the air just in time to meet our FCC deadline! Very soon we will be moving our antenna for better coverage but for now our broadcast can be heard in the heart of Eugene. Thank you to everyone who helped make this possible! Stay tuned because this is just the beginning!!! KEPW is excited to tell you that we have received $2650 in offline donations this week! 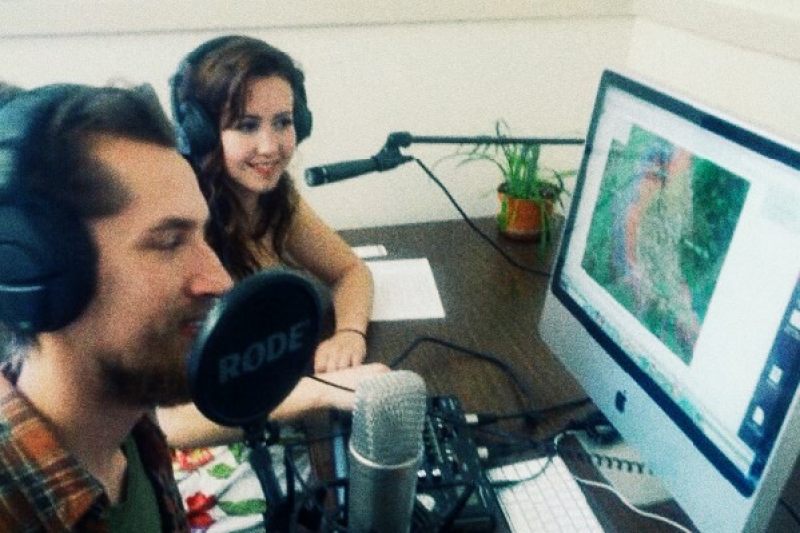 We are only $1183 from our goal to have the minimum $10,000 needed for broadcasting equipment! We thank the numerous donors that have contributed toward getting our new community radio station on the air! We are getting closer to our goal! In the past two weeks we have received $1000 from sources not part of this gofundme campaign. Donate today and your contribution will be doubled by a matching donor! Please join us in this effort to create this very important new source for independent media in Eugene and Springfield. Today is Giving Tuesday! Please donate toward KEPW because Eugene and Springfield need this new community radio station to give voices to those left unheard more now than ever. We have a matching grant that will double your donation! Donate now and make twice the difference! Thanks for persisting. We need this and I am donating again. Let's get that antenna up!